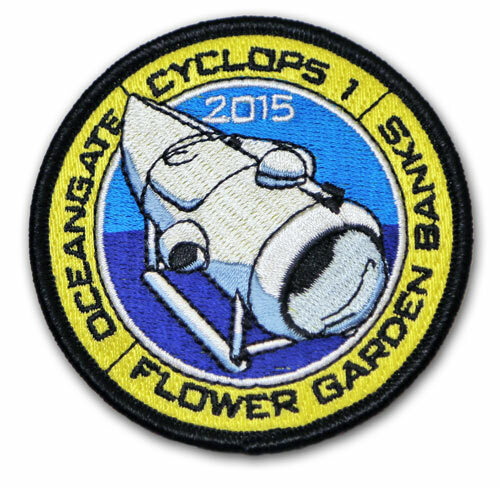 In August 2015, the OceanGate crew mobilized from Everett, Washington to conduct a multi-week expedition to the Flower Garden Banks in the Gulf of Mexico. 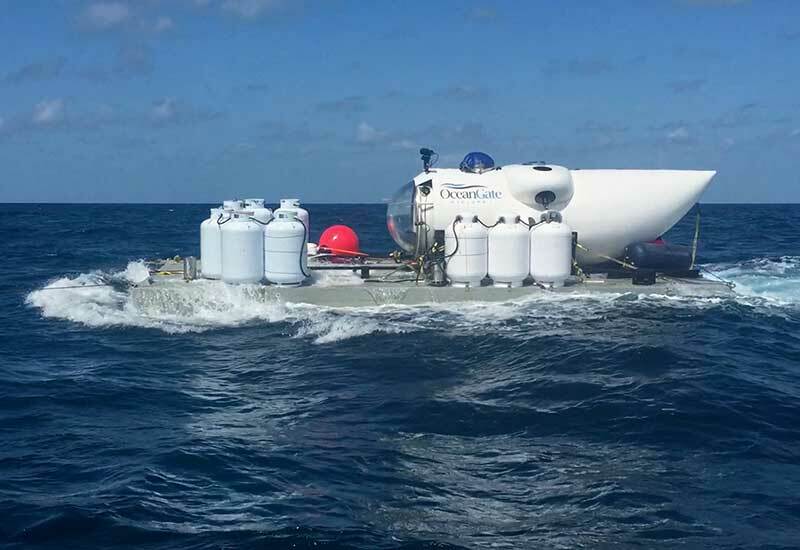 The primary objective of the expedition was to conduct extensive offshore testing of the company’s new Mobile Subsea Launch and Recovery System (MSLARS), to launch our manned submersible, Cyclops 1. Designed as a vessel to safely and efficiently launch manned submersibles in nearly any weather condition or sea state, MSLARS was incrementally tested during the expedition and proven successful in launching and recovering Cyclops 1 in a variety of surface conditions. The methodical testing of MSLARS in varying environments was crucial for the planning of deployment on future expeditions. Built as a submergible vessel, MSLARS was easily towed over 100 nautical miles to the dive site while carrying Cyclops 1. Once prepared for diving, the MSLARS/Cyclops system was submerged to a depth of approximately 5 meters, where MSLARS became a stable underwater platform from which Cyclops 1 lifted off of and returned to after each dive. 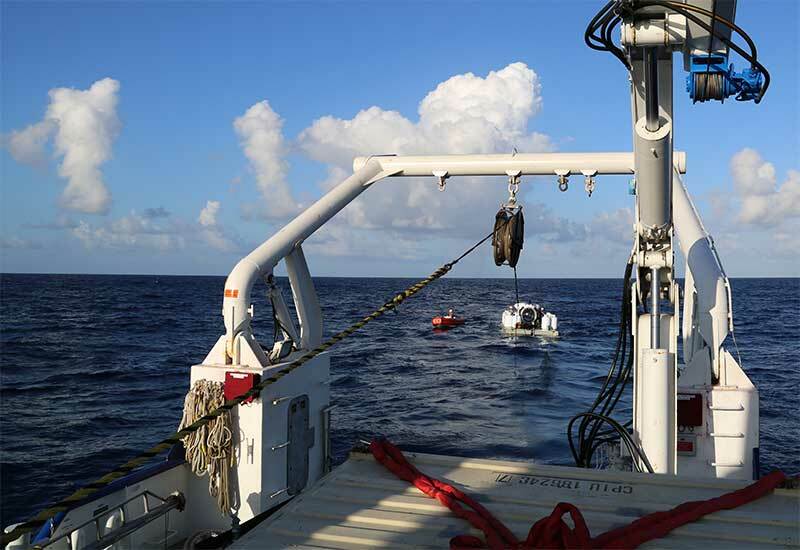 For crew safety during this testing phase, Cyclops 1 was decoupled and coupled to MSLARS with swimmer assistance, with MSLARS controlled remotely by tether from a surface support vessel. When fully enhanced, MSLARS will be controlled directly by the onboard submersible pilot and will lift off and land on MSLARS independently and without swimmer support. Our temporary base of operations for the expedition was located at T&T Marine Salvage on Pelican Island in Galveston, Texas where our crew assembled, modified and performed initial MSLARS testing and prepared Cyclops 1. We then boarded the R/V Pelican, a research support vessel operated by Louisiana Universities Marine Consortium (LUMCON) and deployed MSLARS at three dive locations up to 120 miles offshore. 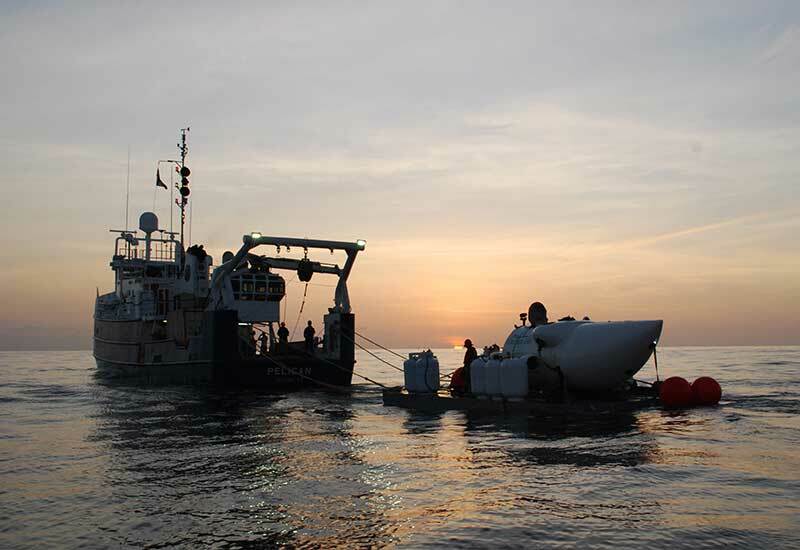 Due to the support and assistance from T&T Marine Salvage and the R/V Pelican crew, our team was able to focus on testing MSLARS which resulted in multiple successful launch cycles, including a deep dive to a depth of 457 meters (1500 feet). Also providing assistance during the expedition were visiting crew members, including former NASA space shuttle astronaut Dr. Scott Parazynski, University of Miami's Dr. Claire Paris, members of the Texas Parks and Wildlife Department, and graduate students from Texas A&M Galveston Campus, School of Oceanography. 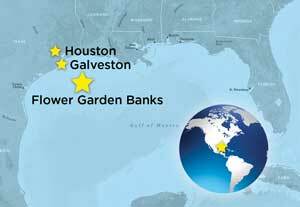 The overall success of our Flower Garden Banks Expedition is immeasurable for completing future expeditions and further validates OceanGate’s ability to effectively mobilize, deploy and execute complex manned submersible dive operations in the deep ocean, that include visiting crew, multiple vessels, and myriad expedition equipment, all while working effectively with national and local expedition partners. MSLARS was jointly developed by OceanGate, Inc. and the University of Washington Applied Physics Lab. MSLARS and Cyclops under tow. MSLARS and Cyclops under tow from aboard R/V Pelican. MSLARS and Cyclops 1 with R/V Pelican at sunset.